This set contains 6 Round Base Skirmish Trays for 25mm round bases. 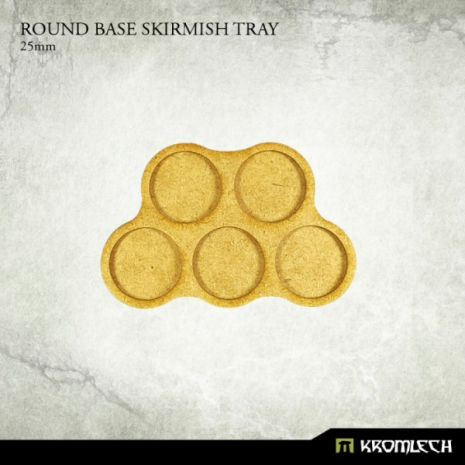 Each tray is designed for 5 bases. Each tray is build from two pieces of 1,5mm thick HDF material which are sold as separate parts that you need to glue before use.